Multimedia Producer, Project Management: AZDispatch, 2015 - This was an interesting multi-media project aimed at showcasing injustices immigrants face in Arizona. I produced photography, a 4 video series that was ultimately streamed during the Netroots Nation keynotes one evening, and put it all on a website to house the work and related content. 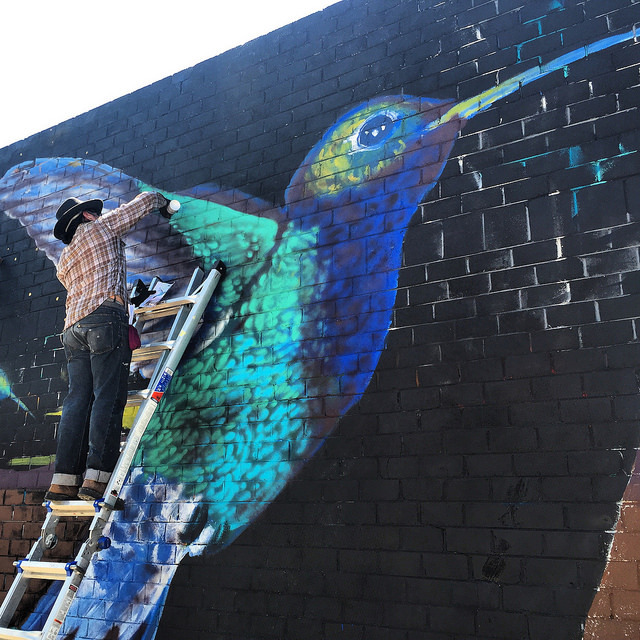 Fundraising and Project Management, Colibrí Mural in Phoenix, Arizona, 2015 -This project was really heartwarming and centered the important work of the Colibrí Center for Human Rights does at the U.S. Mexico border to name those who lost their lives crossing the Sonoran Desert and return them home. Project Management, Immortal Technique Concert feat. Constant Flow (CF), Poison Pen, and DJ Static, The Monarch Theater, 700-ish people, July 2015 - As part of the Netroots Music Project, I coordinated a lot of things, this being one of the most challenging but also most rewarding. There's just that moment when everything is pulling off the way you want it to that makes all of the planning worth it. That moment was definitely when all four of these performers were on stage at once.